Note: When installing, please disconnect the power supply first. 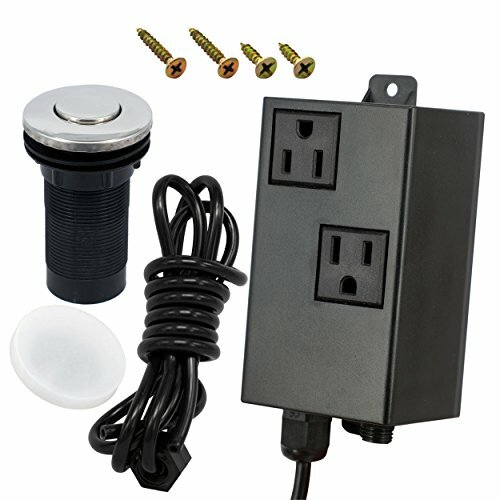 Safety -- Air Switch kit is a stylish alternative to the traditional wall switch and a perfect fit for Island Installations . Easy to install -- Can be mounted easily to any sink or counter top installation and works with any disposer. Dual outlet design -- Two-outlet design, you can control both disposers at the same time, switch on/off together. If you have any questions about this product by DIKOO, contact us by completing and submitting the form below. If you are looking for a specif part number, please include it with your message.